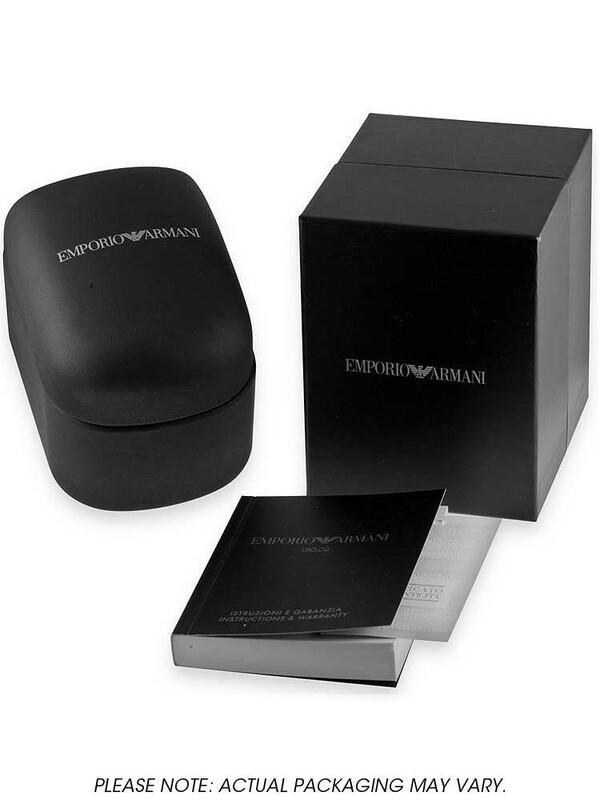 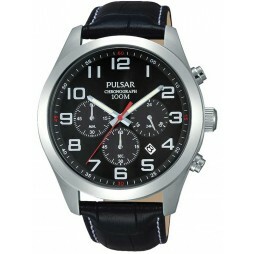 A dark, sophisticated theme is present in this men's watch. 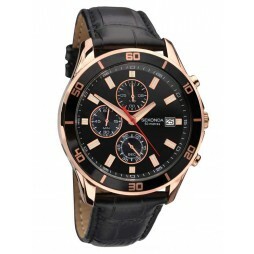 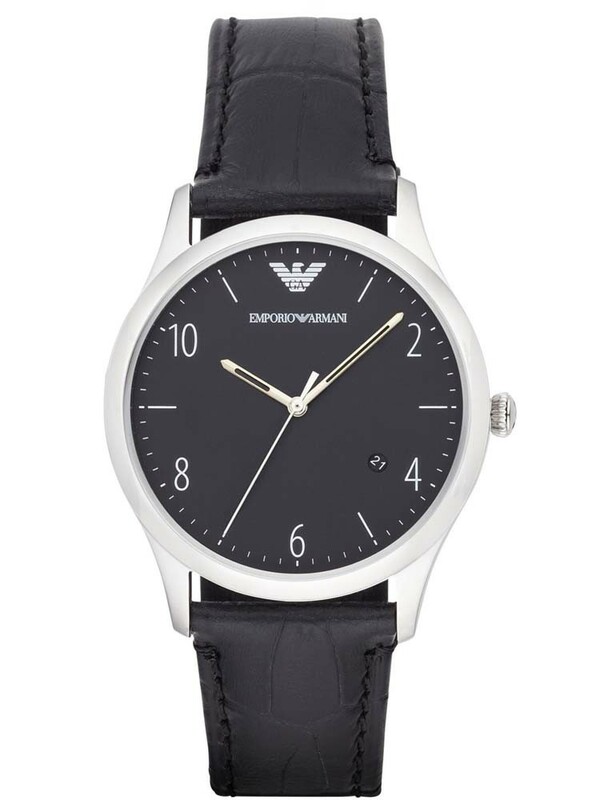 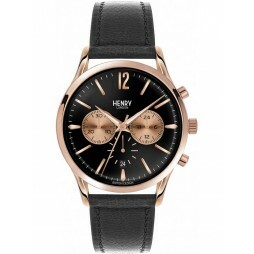 With its black dial and black leather strap it is sure to add style to any outfit. 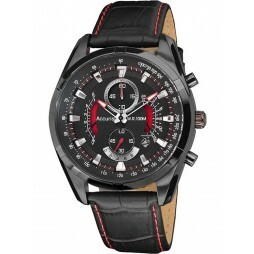 A date function is also used in this stunning timepiece.